MARINE CORPS (VET) ELIZABETH QUINONES/MENDEZ DREAMS TO SING AT SUPER BOWL 50!! Hi my name is Elizabeth Quinones/Mendez and my dream is to become the first person who has served in the United States Military to sing our Nations Anthem at SUPER BOWL 50 in 2016!!!!! VIEW my video.Be a part of HISTORY!!!! 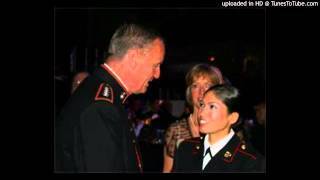 http://youtu.be/prpiDg_hC2o VIEW and LIKE the video and please click on the other link http://www.petitionbuzz.com/…/allow-a-marine-corps-vet-sing…and sign your name and help me make my dreams come true. UNITED STATES MILITARY, UNITED STATES MARINE CORPS, ELLEN, OPRAH PRESIDENT BARRACK OBAMA, FIRST LADY MICHELLE OBAMA, AMERICA Please spread the word. Thank you God Bless and Semper Fidelis! 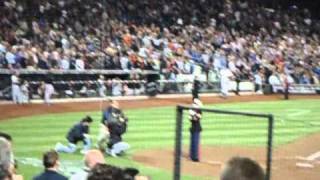 MARINE CORPS (VET)ELIZABETH QUINONES/MENDEZ DREAMS TO SING AT SUPER DOOPER BOWL 50!!!!!!!!!! MARINE CORPS (VET)ELIZABETH QUINONES/MENDEZ DREAMS TO SING AT SUPER DOOPER BOWL 50!!!!!!!!!!!!!!! MARINE CORPS (VET)ELIZABETH QUINONES/MENDEZ DREAMS TO SING AT SUPER BOWL 50! MARINE CORPS (VET)ELIZABETH QUINONES/MENDEZ "UNITED" SONG DREAMS TO SING AT SUPER BOWL 50 2016! MARINE CORPS (VET) ELIZABETH QUINONES/MENDEZ DREAMS TO SING AT SUPER BOWL 50 2016!!!!!! Please check out my song "UNITED"